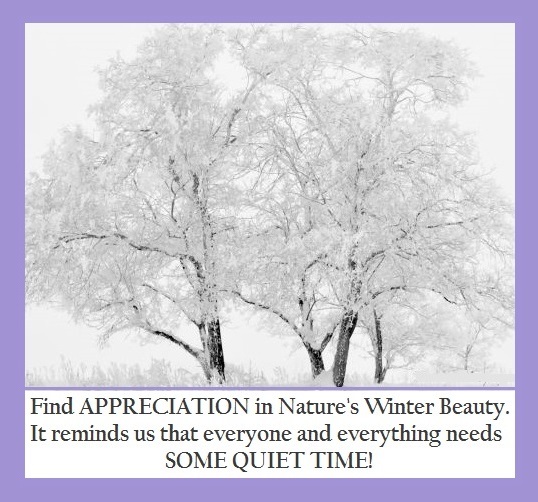 Being snowbound these last two days has given me such an appreciation of the beauty of winter’s nature. It also reminded me that it had been awhile since writing a Tuesday’s Healing Word. Appreciation is a great healing word. It is seeing the good in life. It is recognizing the gifts that come our way and showing gratitude for them. Besides the healing we receive by practicing self-appreciation, we express our appreciation of others. 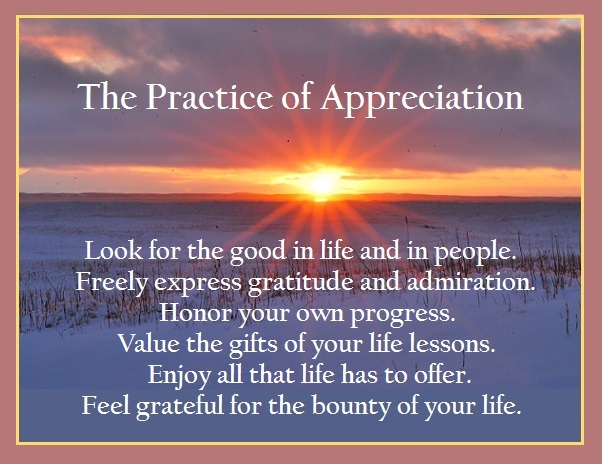 When we express appreciation to others, we mirror the virtues we see in them. It is giving them a healing gift of love. Love thrives on appreciation. We don’t dwell on the unpleasant things of life. We value the learning even in the painful times. I invite you to embrace the beauty and pleasures life offers, and fill your cup today!